Welcome to the Mount Lebanon High School Class Of 1982 web site! Save the date for our 35th Reunion Weekend! 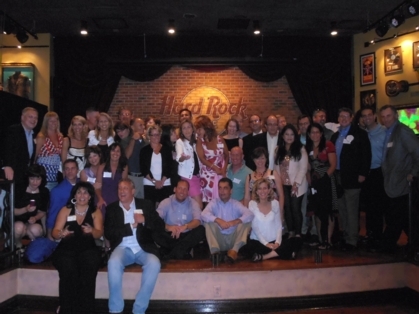 Click on "35th Lebo Class Reunion" for details! Please share this website with others from our class! Please reach out to our fellow Alumni! Ask them to register with this site and update their profiles. We have many, many classmates to find and notify of upcoming gatherings and our 35th reunion. An email address is all we need to keep everyone informed. Please look through the list. If you have an email address for classmates on the list, just click on the name and there will be a box where you can fill in their email address. A message will go to them automatically. Sending them a personal follow-up e-mail would help as well. WOW! What a great time! On behalf of the committee, I would like to thank those of you who were able to make it to the reunion. For those who could not make it, you missed a fun few days. Each event was better than the next. After discussing the reunion with many of you, we know there are things that could have been done better or differently, and we appreciate all feedback. Overall, we think it was a great success and we hope you did too. We had such an incredible time planning this, we have decided to stand together and work on the 35th as a team again. We still need everyones help! We plan to continue to use this website for future reunions as a database for all of us, as well as a message forum among our class. We will work on it to make it more user friendly and easier to navigate. Please get as many people as we can to sign up on this page. It will be a great way to keep track of everyone. Again, we hope that everyone had a blast. Welcome to our 1982 Class Reunion Website!